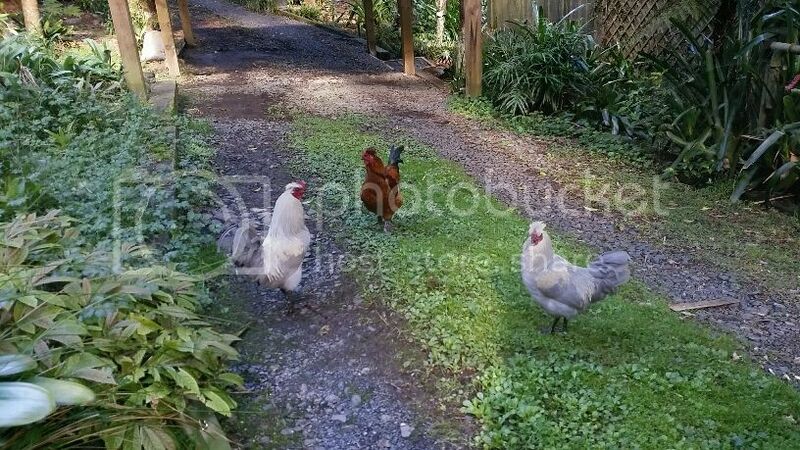 Poultry Central - The New Zealand Poultry & Chicken Forum • View topic - Three Araucana Roosters turned up. What to do? Three Araucana Roosters turned up. What to do? Three Rooster have turned up. Look like Araucana Brothers? Nice Crests. Not sure what to do with them. My 4 chooks don't seem bothered and the kids have named them. I do have a firearms licience. Re: Three Araucana Roosters turned up. What to do? They are Araucana crosses . Probably somebody dumped them close to your house and they just followed your hens. Are you able to keep roosters where you are ? Maybe you can keep one and move the others on ? You could try the NoCrow Collar ! It takes a little while to adjust then but works great ! Thanks. I have just emailed them!